Published in 2000, Jonathan Hughes' book is an excellent and important defence of Marxism in the face of its Green critics. 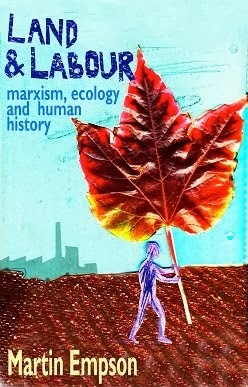 Coming out almost simultaneously with John Bellamy Foster's book "Marx's Ecology", both books should be seen as a contribution to the debates on how to understand ecological crisis in the context of human society and capitalism. Hughes' book suffers from a somewhat abstract academic style - perhaps not surprising given its origins as a doctoral thesis. Certainly the rigorous logical examination of different critics of Marxism and the author's trenchant defence of Marx sometimes seems to obscure the points being made. Nonetheless this vigour is important as all-to often Marx's Green critics have been able to set the tone in a debate that is crucial to the future of human society. "the limits in question are not a function of nature alone but of the way in which humans interact with nature and hence are absolute only in the abstract and in practice are relative to human knowledge and social organisation". In other words, the problem of growth is one rooted in the nature of human society. A different method of organisation society could lead to a different type of growth, which may not be inherently anti-ecological. "the sensuous world around...is, not a thing given direct from all eternity, remaining ever the same, but the product of industry and the state of society..."
This constant transformation of the natural world is based on the continued development of the production process. 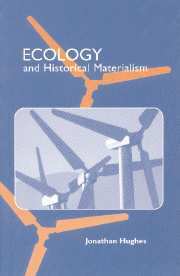 Of course, since, as Hughes points out "ecological problems are problems arising out of humans' dealings with nature", for many, it is Marx and Engels insistence on the continued development of the forces of production - that is the problem. But Hughes points out that developing productive forces doesn't simply mean the development of newer forms of technology, and there are not reasons why this development couldn't happen in a way that is more ecological. This review cannot hope to cover all the detail of Hughes' arguments. Indeed, I've over-simplified some of the criticisms of Marx that he is responding to. His defence of Marx's approach and his arguments place Hughes firmly in the camp of those who believe that Marx has much to offer those who want to create a more sustainable world. But I think there are a few problems with his book. "a transition which has been characterised in terms of a choice of non-fettering relations of production over fettering ones". In reality of course, the transition from a society dominated by Lords to one dominated by capitalists wasn't a choice. Often it was marked by bloody and violent confrontation between social forces representing the different "relations of production". And it wasn't always successful. There were feudal societies that stagnated or went backwards because they couldn't develop. Hughes does briefly acknowledge the importance that Marx attached to self-emancipation - because "it is through collective activity aimed at overthrowing contemporary society that people can acquire the qualities necessary for the future society and form a collective vision of how they want that society to be". But the necessity of revolution is that it also creates the political and social structures that are the basis for a new form of society. A truly sustainable society will be one that is based on a different way of organising our lives. In addition, there is only a limited explanation of why capitalism is so destructive to the natural world. Granted, that this is perhaps slightly out of the remit of the book, but by skipping this aspect of Marx's thought Hughes has left the reader only partially armed for the debate about how we stop ecological catastrophe. Marxism if it is anything is a guide to action, not simply an exercise in academic discourse. 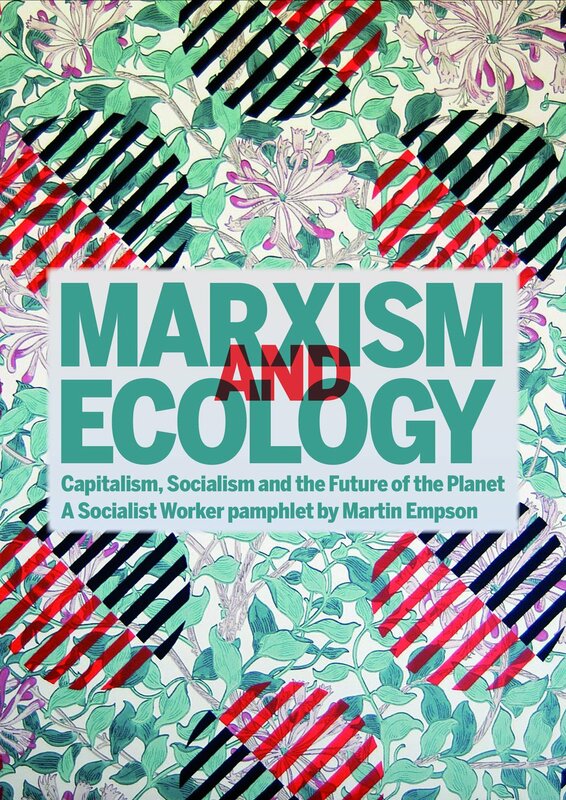 If we are to really develop Marxism into the ecological sphere we have to explore much further its ability to help us imagine an alternate future. The interaction between society and the natural world should be a major preoccupation for everyone these days. The way in which humans interact with the world around us, and the way in which we are in turn effected by the changing world has particular significance in an era of global warming. However this isn't simply true of our modern, industrialised world. Towards the end of this book, the author shows how recently scientists have debated whether or not increased methane emissions as a result of the agricultural revolution, may have "already prevented a new ice age in the more distant past". Whatever the truth in this, and the author characteristically remains neutral about his own conclusions, all the evidence cited shows that it is the result of the during latest stage of human society that emissions have reached the extent that dramatic warming may occur. At it's best, this book is a wonderful exploration of how human society has been impacted in the past by climatic changes. Take the collapse of the Mayan society as a result of the fairly rapid changing of their climate and the onset of extreme droughts - "The Maya did not die out as an ethnicity, but the nobility and priesthood disappeared from the scene". Behringer brings a wealth of evidence and anecdote to the discussion. Unfortunately, despite the scope of the book, some of the sections are very short (the important discussion about the Mayan civilisation receives just over one page). In his discussions on the importance of weather and climate to human history, Behringer comes close in places to seeing climate, if not as the only factor leading to social change, then as the one that lies close to the root causes. For instance while he concedes that the years of repeated bad weather preceding the French Revolution wasn't the only factor that caused that radical transformation, but all the other factors - the "explosive cocktail" - were "compounded by a cluster of phenomena characteristic of the Little Ice Age". The climate aspect though does provide some interesting insights. While discussing the Enlightenment, Behringer argues that during those years, "every harvest failure due to bad weather became a test for the Enlightenment". Not simply because the new sciences must explain the world, but because those representatives of the old order were quick to try and rouse the population against the new establishment. 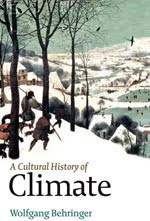 Behringer is at his best when examining aspects of social history and the links with climate. From Witch hunting to the painting of landscapes there is much here to intrigue and cause debate. In particular there are some useful pen portraits that discuss why particular civilisations rose and why they may have fallen. At a time when we've just experienced the impact of a fairly minor volcanic eruption, Behringer shows how huge amounts of volcanic material entering the atmosphere have caused major social problems for many of our ancestors. But his argument becomes increasingly weak the more he writes about modern climate science and society. Partly there is little new here, but Behringer clearly believes that little can be done to reduce emissions and transform industry. In part this is because he views the discussion through the prism of the failure of Kyoto. But it is also because he clearly has no sense of the potential for social transformation arising from new mass movements inspired in part, by the failure of the politicians to deal with climate change. Strangely though, for a book written in 2006, there is one glaring scientific and social problem. Increasingly in the last five or so years, scientists have been warning about runaway climate change, tipping points and feedback mechanisms. These occur when the processes unleashed by global warming - the melting of ice caps - feed back on themselves and cause more warming. Surprisingly, given that this is a discussion on historic climate change, Behringer gives no time to examples of ancient "abrupt" climate change. None of this is discussed, and it allows the author to erroneously and dangerously claim that "The world will not come to and end. If it becomes warmer, we will get used to it". This statement is simply not true. Many scientists and environmentalists are concerned that runaway climate change could result in a planet that is too hot to sustain human society. Sadly in the last quarter of his book, Behringer ends up arming those who argue that we don't need to do anything and can simply carry on as we have been doing. 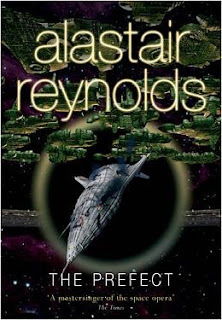 The Prefect is another of the "Revelation Space" novels of Alastair Reynolds. Reynolds enormous output is fairly stunning - but the interconnectedness of his works is also impressive. This novel fills in some of the background to his earlier works. Set in the 25th century humans have progressed out into the wider galaxy. The Glitter Band is a area of thousands of habitats that orbit planet Yellowstone. The band is overseen by Panolpy, whose Prefects are responsible for protecting and co-ordinating the lives of the millions of human inhabitants. Readers who have read earlier novels will be aware that a disaster hits the Glitter Band in its later history but of course those characters in this particular time frame aren't aware of this. Democracy is central to the story. Panolpy governs but is restricted by the democratic control of the Glitter Band's inhabitants. The Prefects cannot arms themselves unless they win a vote. The inability of Panolpy to respond to an initial military crisis, because they lose the vote to get arms is one of the more interesting points of the novel. The fact the government ignores the democratic decision might raise a wry smile from voters back on today's Earth. Democracy looms elsewhere in the story. We are taken on a brief tour of some of the human habitats. In one of these, inhabitants are considered to be better at making decisions that others. Because they can better juggle different factors, they are considered more worthy of consultation. A non-hierarchical democratic utopia exists as the inhabitants sell their greater judgemental abilities those in the outside world who want to make decisions. This market in improved democracy hardly seems impossible when considering some of the things that currently traded on the free-market. The story revolves around the struggle to protect the status-quo from an external force. Aurora is an unknown individual who claims to be aware of the future disaster. She plans a violent takeover of the whole band, to put in place a regime capable of preventing the Band's destruction. The battle to stop this happening is the central theme of the book. Of course knowing that the Band is eventually destroyed and millions of people killed leaves open the question about who is right. But convention must remain, even in future history, and good eventually triumphs over evil. Sadly though the very setup of the story despite all its democratic overtones is really an argument that an enlightened few can govern, or rule in the best interests of the many. Reading as a more fluid novel that some of Reynolds' other works in this series, The Prefect fills many gaps. The other works can often feel too large in scope, and The Prefect pitches itself well, remaining self contained, but giving a good glimpse into the wider universe that Reynolds has created. 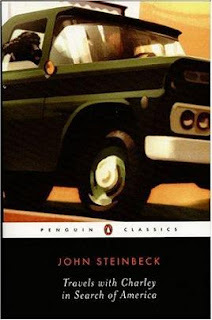 John Steinbeck's trip around the United States in the early 1960s captures beautifully a country in transition. Coming out of the Second World War, America was riding the rising tide of a seeming economic miracle. Gone were the dark days of war, memories of the depression were vanishing into the mists of time, and consumer spending was rising up and up. Steinbeck's journey captures in a series of flashbacks and musings, the changing America. He doesn't lay it on thick, but you get the impression of a man watching with cynical eyes. From the boom in "mobile homes" were the inhabitants can chase economic prosperity forever, and carry with them the mod-cons of urban life, to the bland and boring road side food that he finds from the east to the west. Here Steinbeck sums up the way that America was becoming more generic as he ruminates on roadside rest stations. Civilisation had made great strides in my absence. I remember when a coin in a slot would get you a stick of gum or a candy bar, but in these dining palaces were vending machines where various coins could deliver handkerchiefs, comb-and-nail-file sets, hair conditioners and cosmetics, first aid kits, minor drugs such as aspirin, mild physics, pills to keep you awake. The food is oven fresh, spotless and tasteless; untouched by human hands. I remembered with an ache certain dishes in France and Italy, touched by innumerable human hands. Steinbeck's writing is beautiful, but never too florid. The brief pencil portraits of the people he meets along the way left me wanting more. The conversations are pared down to basics, and we wonder what has been left out. But enough is there to allow us to understand what that person is. Their hopes, dreams and ideals. Some of the writing is lovely and I wondered why this book wasn't better known. Though perhaps it is in America, the place it is dissecting. Of particular note to those interested in social history must be Steinbeck's visit to watch the National Guard escorting young black children into a mixed New Orleans school. The vicious, racist protests are difficult to imagine. Steinbeck's portrayal of the anger and violence brings these early steps in the struggle for civil liberties alive in a way that the old news footage has never done. 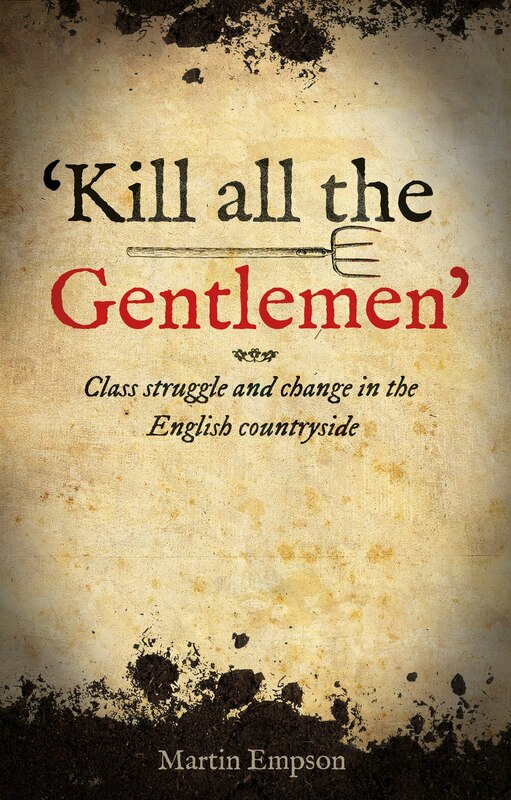 His discussions about the way forward with fellow travellers show an impatience with non-violent direct action by some, perhaps another reflection of the frustration and anger that many must have felt towards the priorities of the America of the early 1960s.